Togolese football icon Emmanuel Adebayor is caught in a tango with his mother and other family members. A lady who introduced herself as Maggie, his sister, told listeners of a popular Ghanaian radio station that Adebayor has neglected his own mother and family and even threw the poor woman out of his house at a point. 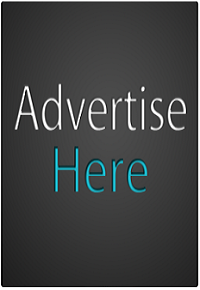 “As at now, our mother is selling polythene bags, padlocks and other things on the border (Ghana/Togo border). Our mother has not seen him for more than a year and he rejects her calls anytime...our mother is not calling him for his money; she just wants to see him because she loves him very much”. The lady who spoke in flawless Twi (the most common Ghanaian dialect) said the Togo Captain has also accused his mother of witchcraft. She said Adebayor’s mother sold her belongings to help the famous footballer travel abroad to pursue his career but he has rather turned his back on her. She added that though Adebayor sometimes remits his mother, it is not enough. She disclosed for instance that he bought her a pricy car but the gas-guzzler is too expensive to maintain and has thus become useless to her. 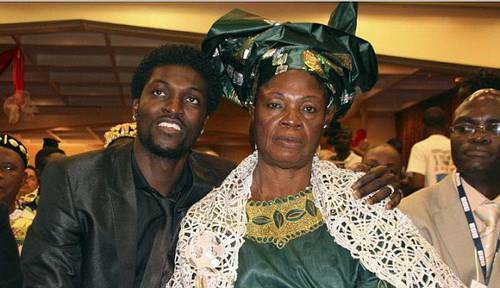 In a rebuttal however, Emmanuel Adebayor claims his mother is rather the one antagonizing him. "Look, my brother, let me tell you something.... My mum wants me dead!" he said on an Accra radio sports show. He said not only does he make financial contributions towards his family’s upkeep monthly but he is also forced to make unbudgeted expenses on their account very often. 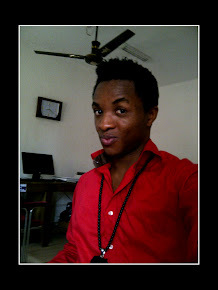 "I sponsored my brother, Peter to abroad to ply a trade but things came to a standstill. Any effort I put in my family went to no avail. My family wants me to put £3 Million on the table. I do send my mum $2,000 dollars monthly but she always complain that it's not enough. I helped all my brothers including my sisters Margaret, Agnes and Linda" Adebayor said. He said instead of being grateful, his family rather squanders his hard-earned money and further plot to use dark magic to ruin his career. "Look, when I was playing in Real Madrid, my mum wrote letter to my management to sack me just after the death of my brother" he revealed. Adebayor and his family agreed later to have the issue settled amicably by a volunteer from the radio station.